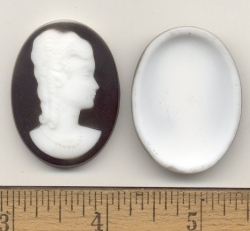 Molded glass cameo with an Ivory face on a Jet Black background. Concave back. Minimum = 12 pieces @ $1.50 each.